Valentine's Day is usually all about writing stories and poems, reading holiday-themed books, classroom parties (maybe), eating candy, and exchanging cards. But don't forget that you can celebrate during math and science too. I have just the freebie for you. 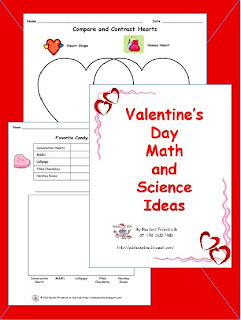 Check out my Valentine's Day Math and Science Ideas.